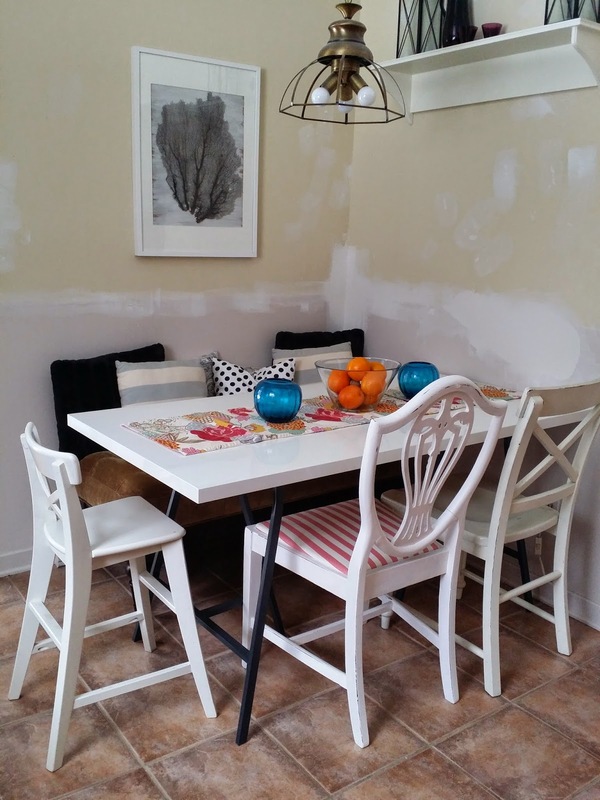 The countdown is on for warmer days, because as soon as it's consistently around 10 degrees (or 50 fahrenheit) the kitchen renovation begins! Read Phase 1 here. Well sort of. I still need a timeline and all my products sourced and bought so that it happens within 2-3 weeks. Or less than would be better. I do not want chaos. It may will be a little chaotic for sure and I've never lived through a big renovation (although we are keeping the cabinetry). My dining room is off of the kitchen and will serve as a kitchen area with the microwave, mini fridge, toaster and pantry items. 2> Set up the dining room with plates, cups, coffee maker, toaster, microwave, etc, etc. 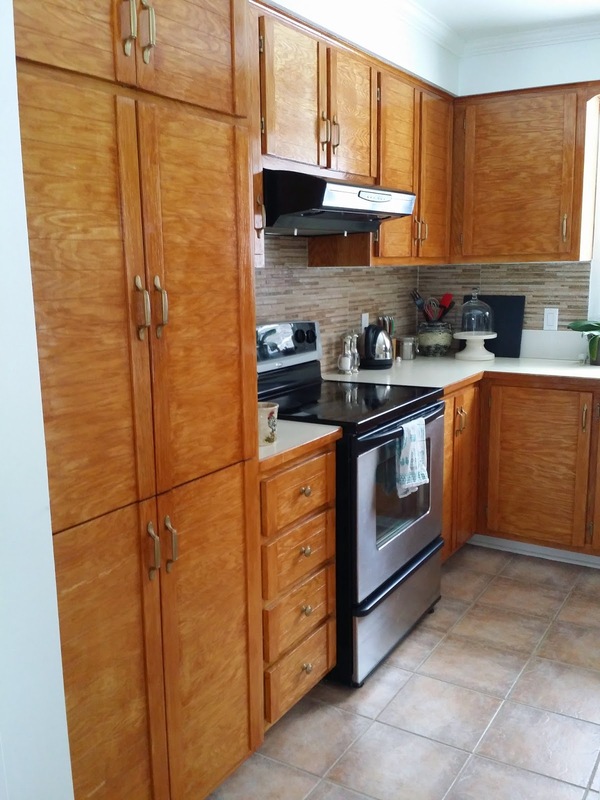 3> Wipe down and remove all cabinet doors. 4> Sand all cabinetry. Sand all walls. 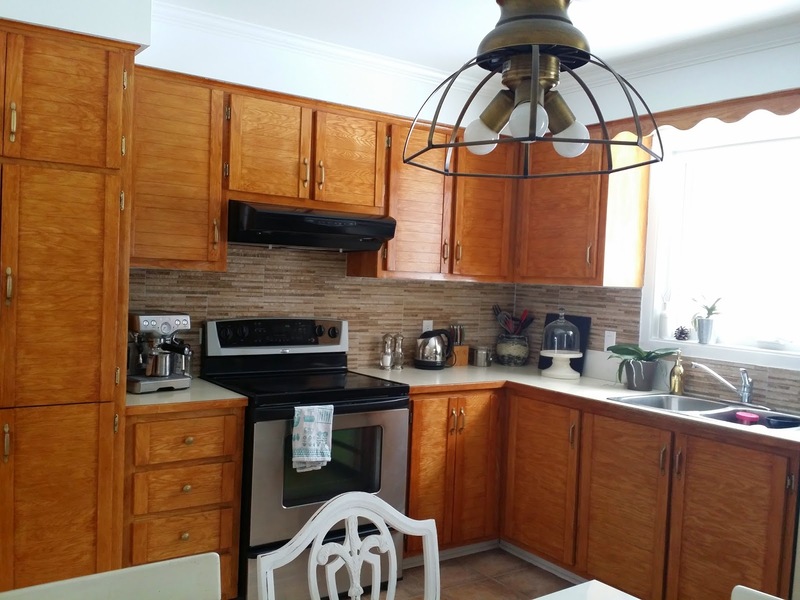 5b> Also remove countertop, hood, sink, faucet, window frame, floor mouldings, baseboards and light fixtures. Sand + Paint everything. Fill existing cabinet door handles holes and create new ones for new hardware. Install new hinges and hardware. 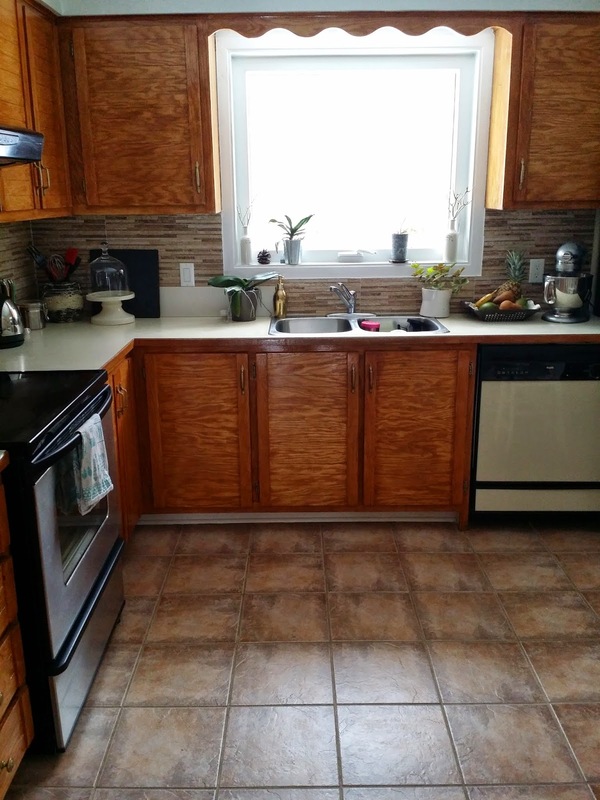 Add new countertop (professionally), then add sink, faucet and hood. Clean and unpack all kitchen stuff. So as you can see there is a lot to do. Especially since we are doing 95% of the work ourselves. I still need to buy the countertop (though I know where and have already got my quote) and frankly, everything else. I have the hardware already but that's it. This is what the kitchen currently looks like. Besides the cabinetry, the floor tiles are staying too. If they do not work with the new kitchen then they will be replaced. But I have a feeling they will be just fine. The fridge is just next to the dishwasher and that is the extent of the kitchen. Small + cosy. It's a bit larger than it looks though. This (above) is part of the view when you walk into my home so I'm dying for it to match the rest of the house. The breakfast nook is a cosy place to eat and with added shelving and a built in bench on both walls, it'll rival the dining room. 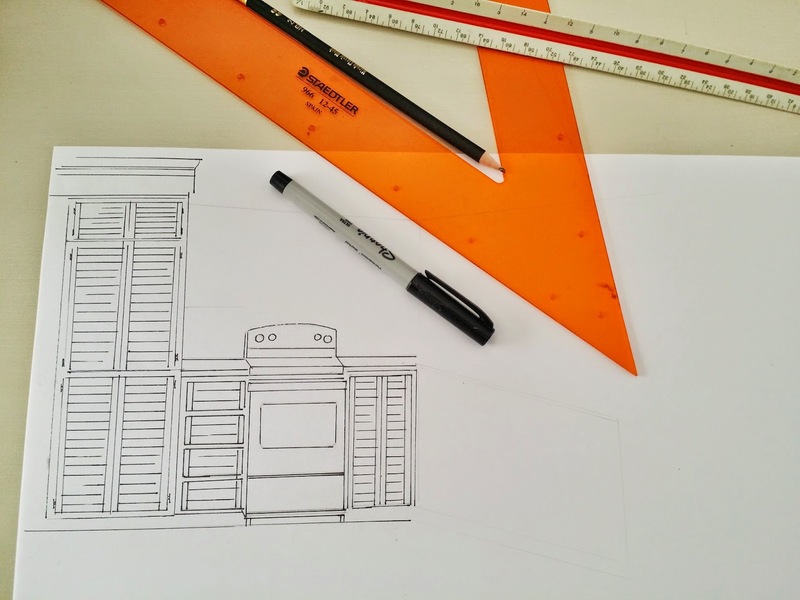 Next up step 3, sourcing everything and 3D sketching! The fun part! Hopefully by April we will be prepared to begin!! !